Standing up for their beliefs, no matter what they are and how they impact their lives, is a vital lesson that people must discovering through their own personal experiences. Actor Prem Singh’s character is learning just that in the new sports drama, ‘Tiger,’ which is inspired by the real-life journey of boxer Pardeep Nagra. The story highlights how the athlete not only learned to fight in the ring, but also battle against religious and political persecution. He felt that if people truly believe in something, they should stand up for it, because nothing but good will come from it. The movie is set to be distributed in select theaters in New York and Los Angeles this Friday by R3M Productions Inc. In honor of the drama’s release, ShockYa is premiering an exclusive clip, which is titled ‘Easy 1,2,3.’ The clip follows renowned former boxer-turned-trainer, Frank Donovan (Mickey Rourke), as he instructs Pardeep Singh Nagra (Singh). ‘Tiger’ was directed by Alister Grierson, and written by Singh and Michael Pugliese. In addition to Rourke and Singh, the drama also stars Janel Parrish and Pugliese. 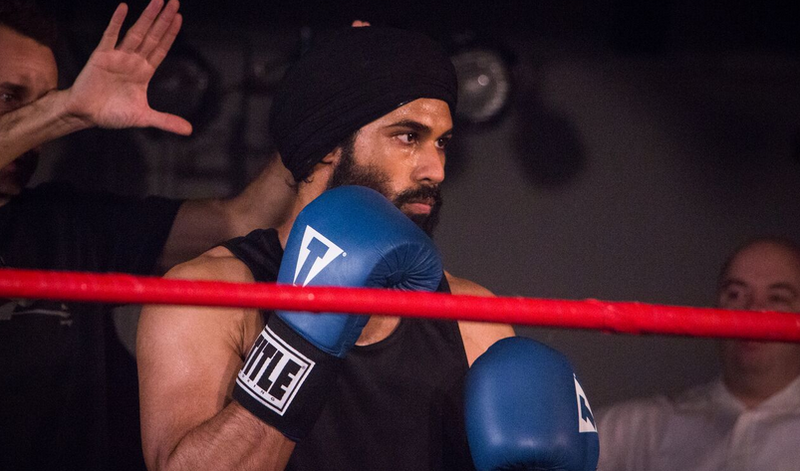 ‘Tiger’ is inspired by the true story of Pardeep Nagra, a practicing Sikh man who was banned from the sport of boxing due to his religious beliefs. ‘Tiger’ follows Pardeep’s journey as he, with the support of his coach and mentor, Frank, does what any strong American would do: fight back! The backlash is a result of racial profiling, stereotypical threats and the daily pressure to change, even from his loved ones who are caught in the midst of the cross fire. Consequently, his legacy will be forever tied to his two biggest battles: one in the courtroom, and the other in the ring. For more information about ‘Tiger,’ visit its official website, as well as its Facebook and Instagram pages. In honor of the theatrical release of director Alister Grierson's drama, ''Tiger,' ShockYa is premiering an exclusive clip from the film, which features actor Mickey Rourke and co-writer-actor Prem Singh.